The Aachen Peace Prize was announced this week for both national and international award winners. The German peace awarded was given to the group for the work they did in appealing to the Turkish government to stop their military operation against the Kurds. 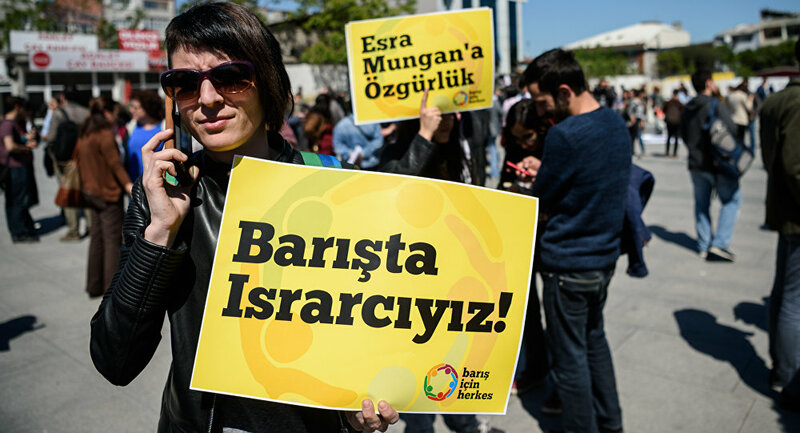 A total of 1,128 academics, from universities inside and outside of Turkey, called on the State to stop the killing and deportation of Kurds to other regions, as it was a violation of a person's human rights, which was contrary to Turkish and international law. "We will not be a party to this massacre by remaining silent and demand an immediate end to the violence perpetrated by the state." The petition did not come without controversy, immediately after the appeal Turkish President, Recep Tayyip Erdogan, labelled the group terrorists and said they had committed treason. They also faced an attack from the Justice and Development Party, (AKP). Many of the scholars lost their positions at universities and faced trial for their part in the government appeal. However, it was because of this persecution that the committee decided to honor the group with the award. "The call of Academics for Peace has a special status due to the clarity of the text and the massive backlash of the Turkish state, its organs and the defamatory public reaction," the committee said in a statement. The award comes a week after the EC have said that unless Turkey address human violations they will not be given visa-free travel in the EU. It also comes after Erdogan himself, replied to the conditions set by the EU stating that he would not address Turkey's anti-terrorism laws for the sake of visa-free travel.